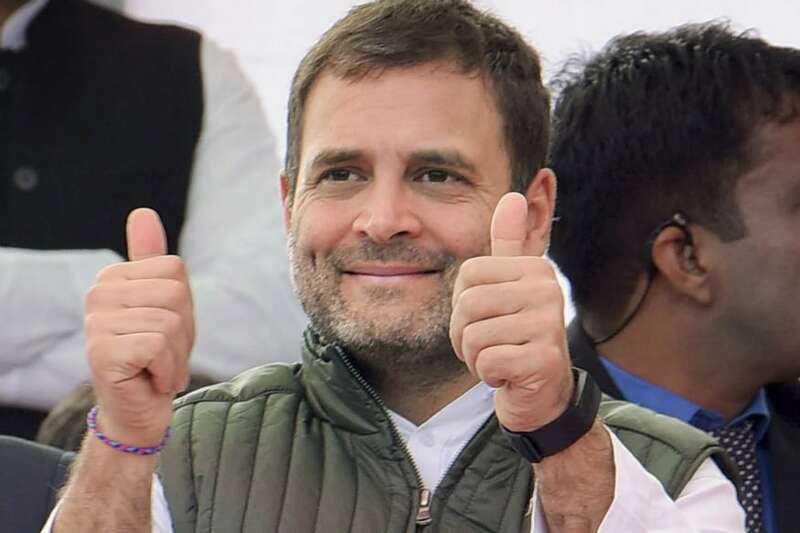 New Delhi: Congress president Rahul Gandhi made key changes in the party's ranks on Wednesday with an eye on the upcoming national elections. Apart from appointing Priyanka Gandhi Vadra as general secretary for Uttar Pradesh East and Jyotiraditya Scindia as general secretary for UP West, Gandhi replaced Ashok Gehlot with K C Venugopal as general secretary (organisation). Gehlot was made the chief minister of Rajasthan after the party formed government in the state. Venugopal will continue to be party's general secretary in-charge for Karnataka, a statement said. Leader of the Opposition in Rajya Sabha Ghulam Nabi Azad was appointed the party's general secretary in-charge of Haryana. He was in-charge for Uttar Pradesh. The post for Haryana fell vacant after Kamal Nath was made Madhaya Pradesh chief minister. Congress also appointed Sanjay Choudhary and Haripal Rawat as joint secretary attached to the general secretary in-charge of Assam. It also appointed Shashank Shukla and Gokul Butail as joint secretary in the party's data analytics department. Gandhi also accepted the names of Apsara Reddy, Sunita Sehrawat, Akanksha Ola, Nandita Hooda, Jyoti Rautela, Chaman Farzana, Lata Bhatia and R Sudha as office bearers of the All India Mahila Congress. Jenab Chandel has been appointed as the president of the Himachal Pradesh Mahila Congress and Pedada Ramani Kumari has been appointed president of the Andhra Pradesh Mahila Congress. Gandhi also approved the appointment Nardev Kanwar as chairman of the Himachal Pradesh Fishermen Congress and Roshan Joseph as the president of Gurdaspur district Congress committee in Punjab.